This book is the first in a series of three books covering the South Downs National Park. 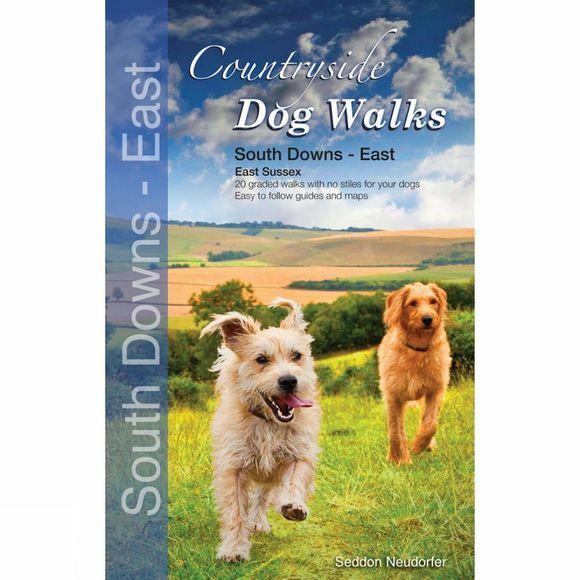 The attractive and cleverly structured guidebook gives dog walkers access to twenty of the finest walks in the eastern region (East Sussex) of the National Park. With clear information, an introduction for each walk and simple, easy-to-read maps, this beautiful book will appeal to all who want to venture out into the countryside with their dogs. The walks are for all levels of fitness and abilities. Having no stiles ensures a hassle free walk for both dog and owner. Areas included are: Beachy Head, Seaford, Brighton Edge, Ditchling Beacon and the Devil's Dyke. Both authors are experienced walkers, qualified in mountain leadership and countryside management. This is another book in a series of Countryside Dog Walking books currently being developed throughout the UK.